← I Believe in Dr. Film! I always love a chance to go to the northern part of our state where the glaciers left behind lots of lakes and rolling terrain. And Pokagon State Park, one of our earliest, dating to 1925, in Steuben County is always good excuse. Pokagon offers all the activities you’d expect in a state park–I love to hike through the bird-filled woods–including swimming in a real lake, a plus. (I grew up on the Michigan border where it was impossible not to be within a stone’s throw of some lake.) In winter Pokagon offers a toboggan slide, still on my–cue the overused term–bucket list. All this and history, too: the park is listed in the National Register of Historic Places for its many examples of the work of the Civilian Conservation Corps (CCC). The last Sunday in July is CCC Remembrance Day at the Nature Center, an extension of the longest-lived CCC Annual Reunion in the country that began in 1953 as a 20-year reunion. I wouldn’t miss it for the world. 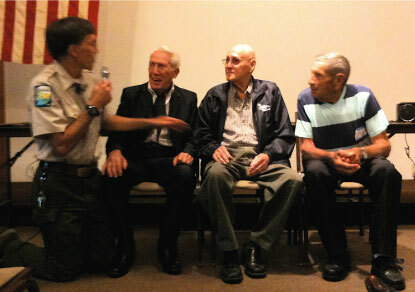 And yes, some CCC veterans, 90 and older now, still come! There were three at the reunion this year. Orland, originally known as Vermont Settlement, was the earliest settlement of European-Americans in the county (it and the settlement started in 1834); the area was formerly hunting ground of the Potawatomi tribe. Orland has a strong association with the pre-Civil War Underground Railroad. Indiana brags Underground Railroad houses like Virginia et al. boast “Washington Slept Here,” and just about as misinformed, but in this case it’s true. Abolitionist Samuel Barry hid runaway slaves in his house, which still stands. DNR: Underground Railroad Sites: Orland If you’re in Orland Tuesday, Wednesday, or Saturday, check out the Joyce Library downtown. It’s charming, but check out the second floor, where the library first started. It still has its original woodwork and a lot of the original books! Many of us remember when most public libraries looked like this. If, rather, you go east from Clay’s on SR120, you will encounter Fremont, founded in 1834 as Willow Prairie and platted three years later as Brockville. The village rechristened itself once again in 1848 to honor explorer John C. Fremont. Fremont, home to about 1700 people, has a charming downtown and a number of National Register-listed buildings. Their library, surrounded by a bit of restored prairie on the west edge of town, offers several pieces of outdoor sculpture. Behind the building an environmental trail winds through a woods. The county seat and the “big city” in Steuben County is Angola, platted in 1838. Its beautiful courthouse square features an impressive Soldiers Monument, topped by the allegorical figure of Columbia, erected in 1917 in the center, formerly the location of the town pump. More men per capita enlisted in the Civil War from Steuben County than any other in Indiana. The courthouse, dating to 1868, sits in the southeast corner of the square. 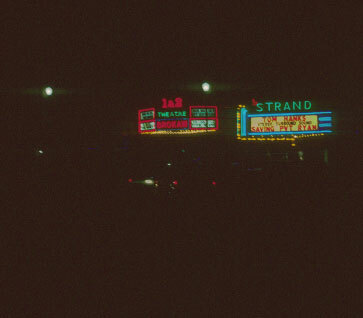 Opposite, in the northwest corner, are two historic movie theaters, the Strand and the Brokaw. Angola is the center of recreational activity for the lake-filled county (101!, boasts the county website), which likely contributes to the continued survival of these theaters. One of those lakes, only a mile to the southwest, was the first resort open to middle class black families. Listed in the National Register, the Fox Lake Historic District is a modest collection of lake cottages built in the 1920s and 30s. The area still retains much of its heritage with traditional activities, like the Labor Day picnic, that are decades old. History, lakes, small towns, lakes, roadside farm markets, lakes, and more! 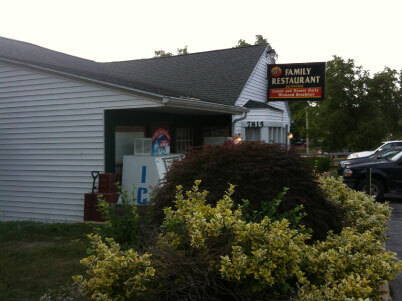 While it is much like going home, I still discover something new every time I journey to Indiana’s northeast corner. This entry was posted in On the Road Less Taken... and tagged Angola Indiana, Clay's Family Restaurant, Indiana roads, nostalgia, Orland Indiana, road food, Steuben County, WPA. Bookmark the permalink.